The B2B Strategy Group is a team of seasoned B2B business growth experts led by Alison Sutton-Davezac. We are pragmatic and down to earth. We love nothing more than rolling up our sleeves and sitting down with our customers to help them accelerate growth in their businesses. Alison began her career as a strategy consultant, and was rapidly promoted to Principal at IAMCO, the boutique strategy consulting firm. After an MBA at IMD in Switzerland, Alison held senior Change Management, Strategy and Marketing roles at both PepsiCo and GE (General Electric). At GE she led a major change management project across Europe, successfully started a Healthcare consulting business and served as Chief Marketing Officer for GE Capital Solutions EMEA. 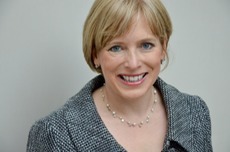 Immediately before founding The B2B Strategy Group Alison was on the executive team of RM PLC, as Group Marketing Director. Alison has lived in several European countries including Switzerland, Germany, Belgium and France and she speaks French and German. She is now based in Oxford with her husband and two children.